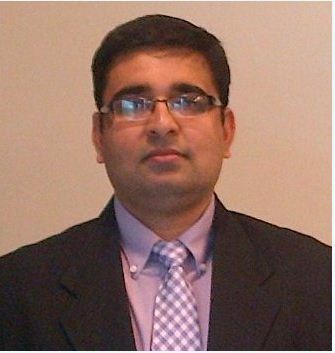 Amit Kumar is currently Formulation Scientist at Charles River Laboratories, Boothwyn, Pennsylvania, USA. He obtained Ph.D. in Pharmaceutics in 2013 from College of Pharmacy, University of Texas, Austin, Texas. He is a member of scientific societies including American Association of Pharmaceutical Scientists and Delaware Bioscience Association. He is reviewer for Drug Development and Industrial Pharmacy; AAPS Pharmscitech; Journal of Controlled Release; Molecular Pharmaceutics; Colloids and Surfaces B: Biointerfaces; Journal of Pharmaceutical Sciences; European Journal of Pharmaceutics and Biopharmaceutics; Nanomedicine: Nanotechnology, Biology, and Medicine; International Journal of Nanomedicine; Research and Reports in Transdermal Drug Delivery; Clinical, Cosmetic and Investigational Dermatology; Vaccine: Development and Therapy; Elsevier; American Association of Pharmaceutical Scientist (Abstract screener). He is author of many peer reviewed publications and book chapter. He is editorial board member of more than 10 Journals".